Electric underfloor heating has gained a lot of popularity in recent years, in part due to the technological advances in the field, and in part, because it has become affordable enough for most home owners to install radiant underfloor heating in their homes. In a few short decades, radiant underfloor heating has gone from expensive and dangerous to affordable, safe and efficient. 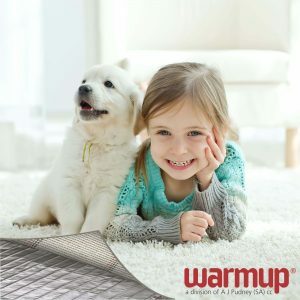 Today, underfloor heating is your most sustainable heating solution, and always conscious of the cost of electricity, #warmupsa has developed heating products that are true investments for any home. With all forms of technology comes a few hiccups, and though #warmupsa heating systems goes through a rigorous testing protocol, leaving almost no room for a faulty product to be sent out into the market, we have taken a look at some on-site issues that can arise. In this guide, you will find some of the most frequent problems that can come up with the installation of underfloor heating. It is worth noting that a professional installer should be used at all times when underfloor heating is being installed in your home. We will assume that you have already taken the obvious steps, being checking that the power has been turned on. Once power has been established, and if your heating system still doesn’t switch on, then the fault usually lies with a damaged cable. 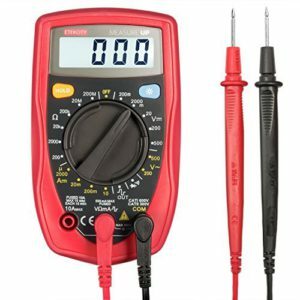 It is easy to nick or damage a heating wire during installation if you have not been trained on the correct installation process for the particular product. Use care throughout the installation to prevent damaging the heater wire. If the wire has already been damaged, then the location of the break needs to be identified. A thermal camera can be used to locate the exact point of break in the circuit, this way you don’t need to uplift the whole floor again to do the repair to the cable, for instance if you have a tiled floor, the break can be pin pointed and only 1 or 2 tiles needs to be removed. Radiant heat means that there should be even heat distribution with no cold spots. 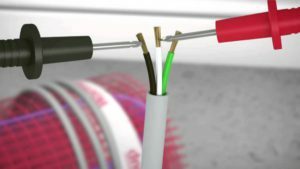 If you are experiencing cold, or even warm, spots, then the cable may have been incorrectly spaced during installation, or it could even indicate a lack of adequate insulation if you are noticing colder areas. Your heating specialist would’ve worked out a comprehensive heating plan based on your heating requirements. Installation should be done with this plan to ensure correct spacing. During your quoting phase, your heating specialist would also have notified you of any further insulation or additional heating requirements, for instance, added insulation for a colder subfloor or extra heating for a colder, south facing room. Though essentially covered already, hot spots can also be caused by flat based furniture, rugs or other items covering the floor and trapping the heat underneath. This could result in a heat build up that may damage the floor covering. 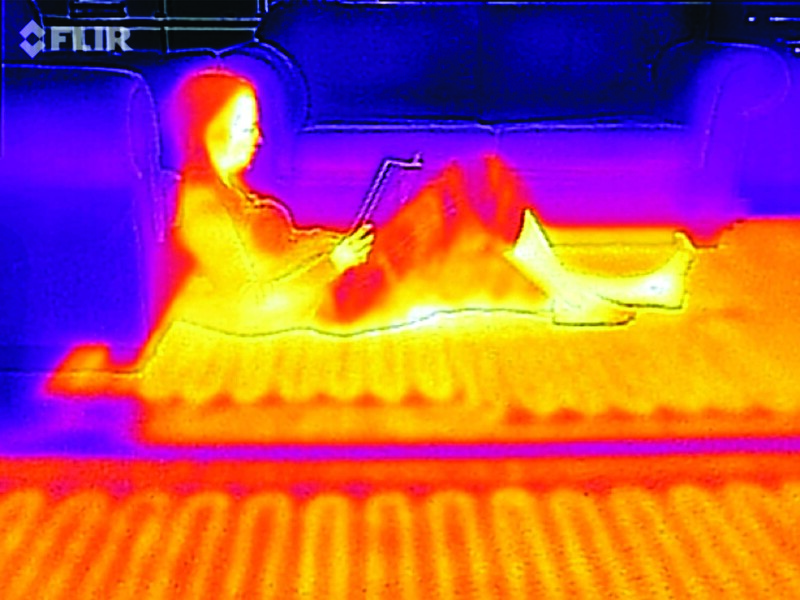 Ensure that no flat based furniture is placed over the heating pads or wires. Remove rugs and other insulating items from the area where the heating pad or wire has been installed. Your home underfloor heating has been correctly specified, correctly installed, turned on and seems to have power, but suddenly your thermostat overheats, or even blows a terminal. As frightening as this can be, it can be prevented quite easily. Thermostats overheating is generally due to overloading the circuit. Before installation starts, verify that your electrical panel has the required capacity for your underfloor heating. Also check what requirements the thermostat has and ensure that you don’t load more on the thermostat than it can handle. It is cold outside and you are feeling it! Get #warmupsa radiant underfloor heating.